This compelling story of exploration charts and celebrates humankind in space, from Sputnik’s launch in 1957 through the Apollo Moon landings and the International Space Station to future missions to Mars and beyond. 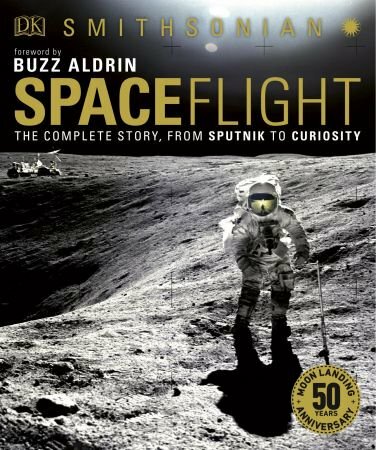 Spaceflight chronicles how, in the half-century that followed Sputnik, the world was revolutionized by space travel and exploration. The opening up of Earth’s orbit to satellites led to a revolution in communications, monitoring of the environment, and materials science. For the human imagination, the impact has been even greater: the voyages of robotic space probes have transformed our view of the Solar System, while Earth-orbiting satellites and missions to the Moon have forever changed our view of ourselves.